The Annual Women’s Economy Summit is upon us and is the largest gathering of women trailblazers, inspirational leaders, badass entrepreneurs, contributors, and policymakers in town. With a mission to raise awareness of the key role women play in global economic development, the summit is all about highlighting the importance of women leaders and entrepreneurs by encouraging them to collaborate with leading women’s organizations and corporations, keen to share cutting-edge pearls of wisdom. 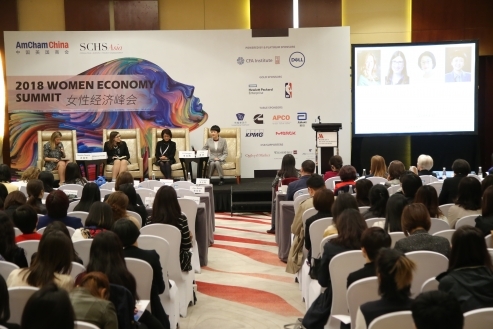 It all began in 2017 when the American Chamber of Commerce (AmCham) in China and SCHSAsia joined hands and efforts to design an event that would be a bold experience packed with personal and professional development tools for powerful women of today and tomorrow. The 2018 summit attracted over 300 professional men and women and was the birthplace of the first edition of the Women’s Leadership in the Workplace White Paper; a guide for the community to further foster dialogue and programs regarding professional women’s positions within organizations. 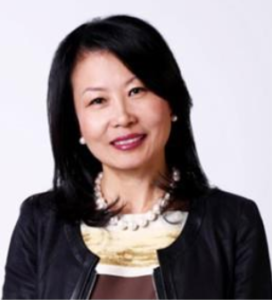 We’ve caught up with Su Cheng Harris-Simpson, SCHSAsia CEO and Board of Governor of AmCham China about the big idea behind the initiative. Beijingkids: Tell us more about the Women’s Economy Summit and the inspiration behind it. Su Cheng (SC): We started the AmCham Women’s Professional Committee about 12 years ago because we needed a sustainable model and that AmCham can help put up a platform for international and local women working for multinational corporations. About 5 years ago, I encountered so many women groups doing amazing things but I became curious as I didn’t see cohesion among these groups. Besides that, I had encountered complex issues on major gaps in work, especially in leadership and pay. So I thought to start the Women’s Economy Summit to offer everyone a platform to address major areas in women’s economy, and to push the agenda forward. BJK: What shall we expect in next week’s summit? SC: This year’s summit is the third edition and we are bringing together many amazing governmental, non-profit groups, leaders and Intrapreneurs/entrepreneurs in one venue. And I’d like to highlight three main emphases of the Women’s Economy Summit: (1) advocacies where we focus on best practices that result in big and lasting change and impact; (2) leadership, where we bring women leaders and women in power and position to serve as role models for others to increase pipeline to grow future women leaders; and (3) Intrapreneurs/entrepreneurship, where we bring nimble and able people who think outside of the box and act as change agents and facilitators of progress to grow both public and private economies. BJK: Have you seen major changes in the five years since you started the summit? SC: Yes! There is qualitative and quantifiable progress. In terms of qualitative progress, we’ve seen the discussion move forward and bring awareness. Not only that, but we’ve seen men are also active in the conversation! In terms of quantifiable progress, more systematic support needs to be done on the topic of the pay gap and leadership roles. In China, we have gotten lots of data, but the question is which one is real and usable. So we are still working to find out the baseline of data to identify key gaps to be able to help continue to raise awareness, develop actionable steps and ultimately move the needle forward for impactful change. BJK: What can you say about the business environment in China? Is it welcoming towards women entrepreneurs? SC: The good news is in China, there are no barriers to opening a business, but the challenge is to how to grow your business to make it more sustainable and scalable. Both public and private sectors should embrace the 50 percent of the population — women — because there is an “untapped” area or potential for growth. Outside of China, different governments have best practices supporting the growth and sustainability of business by women entrepreneurs. Helping to grow a woman-owned business ultimately grows our economy. This is something that China can do. BJK: Can men also join the summit? SC: Of course! We want men to join the summit. A part of our program includes inviting male leaders from multinational corporations, or what we call “Men Champions,” and they will discuss their personal and companies’ efforts to support equality in their workplaces. Also, we would like men to join in the conversation because it will allow everyone to understand and support each other as human beings, and that equality is not about taking away a piece of the pie but enlarging that pie for all to win. BJK: What’s next for the Women’s Economy Summit? SC: Until the playing field becomes even, we will still call it the Women’s Economy Summit. We need to do this until we don’t need to bring up the topics of gender and equality in leadership roles, pay gap, and business anymore. We need to continually discuss equality because we need to embrace “differentness” and inclusivity to take full advantage of the talents of men and women all together, and not to label the “differentness” as something positive or negative. We aim to get everybody aware of their own unconscious biases and that they look to someone as a human being like anyone else, and that we need to make people feel they belong and are valued for who they are. Only by achieving that, I believe, will move us forward towards sustainability, growth, and equality for ALL.